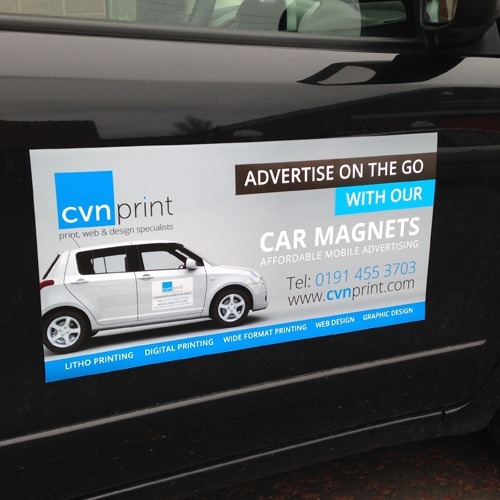 Magnetic signs are ideal for those who want a simple to fit, professional looking sign that has the added benefit of being removable for the times when the vehicle is not being used for business purposes. Magnetic vehicle signs allow your business information to be quickly and easily placed on any vehicle, and removed just as easily. This has a number of advantages over directly-applied vinyl graphics, for example the signs can be reused if the vehicle is sold, and they can be removed when not required (when using the vehicle for personal use for example). WE ALSO OFFER A SAME DAY PRINTING SERVICE! Business Cards, Leaflets, Flyers, Posters, Dissertations and much more..